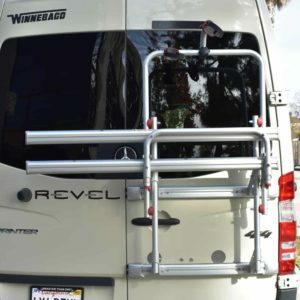 There are ways of improving the ride & handling of your Sprinter with all the shocks, RIP-Kits, sumo-springs, and add-a-leaf kits on the market. However, due to the lack of aftermarket support from the major players, there was no way to increase damping & restore motion control to the front end of the Sprinter 4×4. 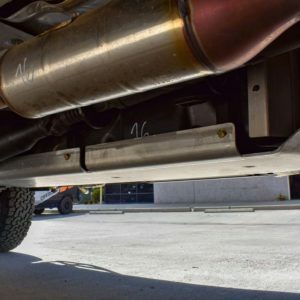 Until now… Agile Off Road’s MAX Auxiliary Front Shock Kit is a bolt-on suspension upgrade for all second-generation (NCV3) Mercedes Sprinter 2500/3500 4x4s. 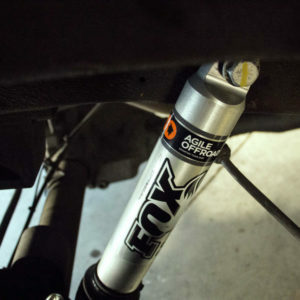 The kit is built around our Agile Tuned Fox Auxiliary front shocks. 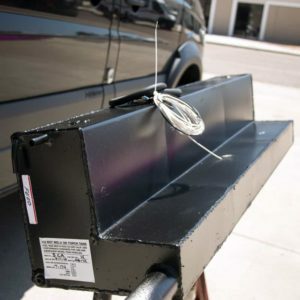 The design of the powder-coated steel mounting brackets allows for an industry-leading 4.5-inches of stroke. This long stroke is important because it improves the shocks ‘motion ratio’. In layman terms, our shock’s 4.5 inches of stroke means our shock doesn’t have to work as hard to give you a more comfortable ride and requires less damping to keep your vehicle under control. The best part is our kit fits on all 4×4 Sprinters no matter if it’s a 2500, 3500, RV, lifted or stock. Note: Kit does not include coil-over converted front strut in photos.